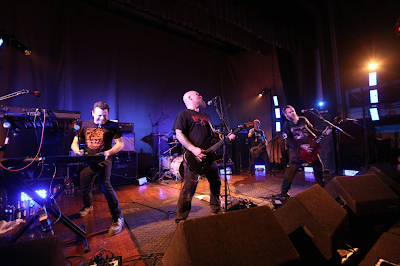 Following massive sporadic live performances across the United States throughout the end of 2012 and first two months of 2013, today NEUROSIS confirms an extensive European tour in support of their acclaimed tenth LP, Honor Found In Decay. With a total of eighteen shows confirmed at press time, such an extensive continental tour is a rare occurrence for NEUROSIS. But from late May through early July the band will forge through Spain, France, Belgium, Germany, Denmark, Norway, Sweden, Poland, the Czech Republic, Italy and Switzerland, performing at festivals including Primavera Sound, Hellfest, Bravalla and Eurockeennes along the way. NEUROSIS released Honor Found In Decay worldwide at the end of October via their own Neurot Recordings, followed by a 2xLP version released collaboratively with Relapse Records.